Our 24/7 services mean you have a friendly, licensed expert just around the corner for all your home, office and automotive locksmith needs. Finding the right company to call on for reliable locksmith services in Round Rock Texas can seem like trying to find a needle in a haystack. With so many providers to reach out to, it is easy to feel overwhelmed by the project in front of you. Whether you need a residential locksmith, a commercial locksmith or an automotive locksmith, you can simplify matters by contacting the professionals at Austin Locksmiths. We have a fast, reliable mobile team right here in Round Rock! We are a licensed, insured and bonded company that offers a full range of 24-hour locksmith services to meet all of your lock and key and security needs. More than that, we have an exceptional reputation for providing fast, friendly service and for furnishing up-front, affordable prices to our customers. With a closer look at what we can do, you will see that we are the best solution for you. Not only that, with our response time of 30-minutes or less, you can rest assured that you will get speedy service when you call us for the job. Car locks and key are constantly evolving with changing technologies. Luckily, our mobile units are trained in the latest techniques and are equipped with the most advanced tools to help you with any situation you need on the road. And, we can service all makes and models of vehicles, both foreign and domestic. When car keys are lost or broken or when ignitions do not start, you may be in a true jam. Our automotive locksmith services make it convenient and easy to overcome your current situation. 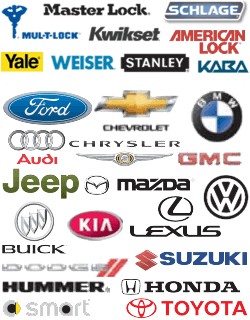 In addition to assisting with car lockouts and car key replacements, we also help with ignition switch repair, transponder keys, car fobs and laser cut keys. 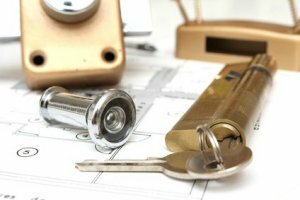 Business owners who need locksmith solutions in Round Rock Texas often have special service requests. While we can assist with changing locks and opening doors in a lockout situation, our commercial locksmith experts have been thoroughly trained to provide service for panic bars, access control systems, magnetic locks, master key locks, automatic doors and other special features. Whether you need a repair or a new installation on these or other commercial lock features, rest assured that our mobile units can arrive at your location quickly and with all of the tools and equipment necessary to get the job done right. You can run into many different types of issues with your home locking systems, and our residential locksmith team is available to help you overcome any challenges you face. From pulling broken keys out of locks and changing locks to replacing missing keys, repairing burglary damage and more, we can do it all. We can even help you to upgrade your home’s locks to maximize security. Many of our valued clients call us looking for specialized lock services, and you will be pleased to learn that we can assist with the repair or new installation of a wide range of lock types. These include keyless entry systems, high-security grade I locks, mortise locks and many others. There is no locksmith service request that is too large or small for us to handle, and we are excited to begin working for you. When you are ready to set up an appointment to receive a free up-front quote, call our office for assistance. Locksmith Services In Round Rock Texas https://austinlocksmiths.com/round-rock-texas/ 4.0/5 based upon 20 reviews.